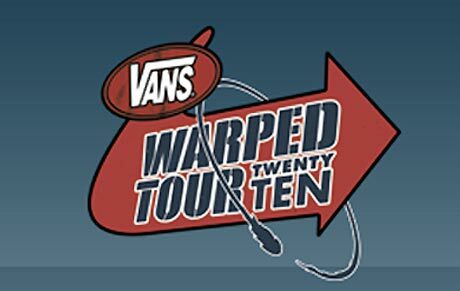 Following their recent announcement of tour dates, the organizers of the Vans Warped Tour have revealed the artists involved with their 2010 roster. As always, the line-up features a mixed bag of genuinely exciting performers and the whiniest of emo bands. Among the artists we're most excited to see are the Dillinger Escape Plan, Fake Problems, Motion City Soundtrack and guaranteed party-starter Andrew W.K. The Warped Tour runs from June 24 to August 15, and will include Canadian stops in Mississauga, ON, Montreal and Calgary. For a full list of dates, go here.